It is about keyboards of computers. I am introducing it from one of my favorite Japanese entertainment blogs. 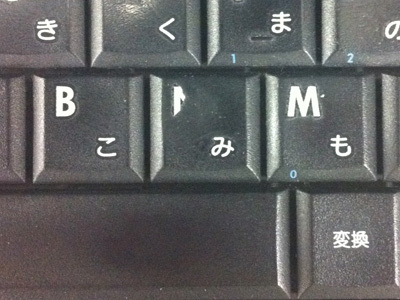 This is a Japanese keyboard of a computer. Hiragana characters are printed along with alphabets. The blogger noticed that half of ‘N’ key has been worn away. Other characters were OK but the ‘N’ key. So, he checked other people’s keyboards. As he expected, their keybords’ ‘N’ keys were also worn away. This one has the right bottom of the ‘N’ key worn away. 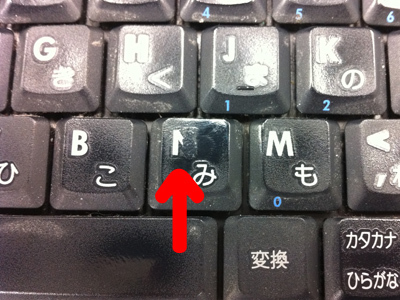 This keyboard, the ‘M’ key and the ‘K’ key are worn away but the ‘N’ key is also worn away. 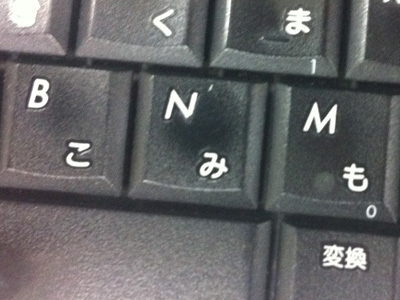 Perhaps when we type ‘N’ (pronounced like ‘N’ for Japan in Japanese) in Japanese, we have to type ‘N’ key twice in order to get the hiragana character for ‘N’. 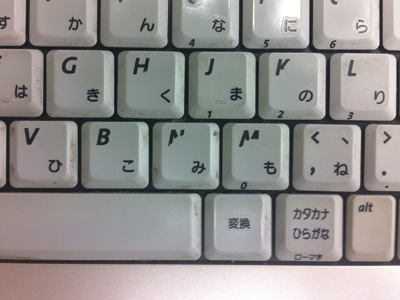 The blogger thinks that probably the ‘N’ key is used 2 times more than other characters. That makes sense. As I recall, the ‘N’ key of my PC’s keyboard was worn away when I was using Windows. So, which character of your keyboard is worn away?